Play music, take calls and enjoy high-quality sound wherever you are! 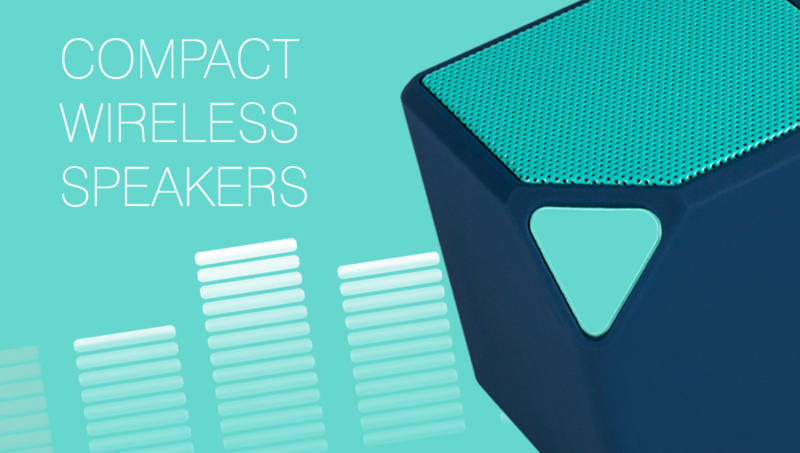 These new wireless Bluetooth speakers by Canyon are smaller than a mug, yet powerful and durable. Designed in stylish shapes and trendy blue colours, they are perfect multimedia gadgets to use in your home, on the road or at the workplace. The operating range is 10 meters and the battery seamlessly runs for up to 8 hours of constant playback. Both models are equipped with a built-in microphone, so you can use each of them as a hands-free accessory of your phone. Using the built-in AUX input, USB port, you can easily transfer files or use the speakers with non-Bluetooth devices. CNS-CBTSP3 also has a Micro-SD card slot, so you can use it independently as a non-connected device. Both speakers are compatible with all known smartphones, tablets, PC, Mac. CNS-CBTSP2 – square-shape Bluetooth speaker without Micro-SD card slot, with AUX input and USB port.